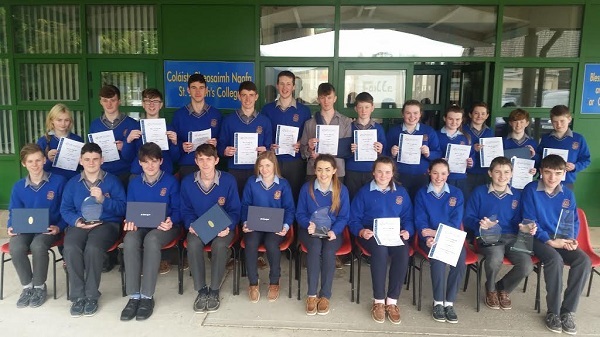 The regional finals of SciFest @ LIT Thurles took place last Wednesday. With 12 schools and over 150 students exhibiting from various counties, excitement was mounting at the prize giving. After a morning of adjudicating by the judges from LIT Thurles, the overall winners were announced. 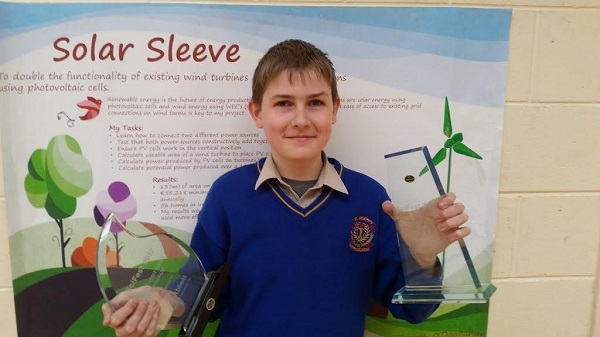 The Best Project runner-up award was won by Joseph O’Donoghue for his project – Solar Sleeve. 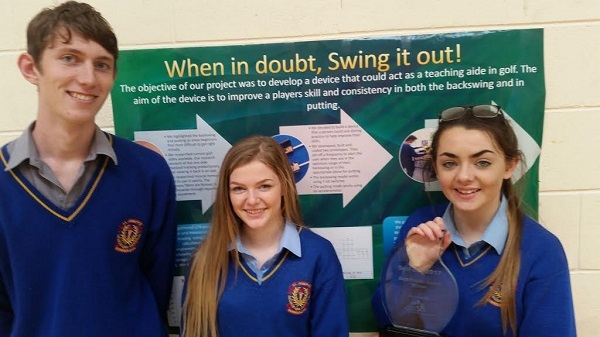 Next, the Best Project award was announced and Christine Delaney, Kate Madden and Seamus Ryan were delighted to accept it for their golfing project – When in doubt, Swing it out!. After 8 months of hard work and dedication the group proved deserving winners. The group now have the opportunity to compete at the National SciFest finals in November. The group will continue to develop their project. 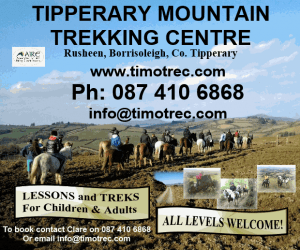 Judge Michael Fennelly offered them some great advice on improving different aspects. 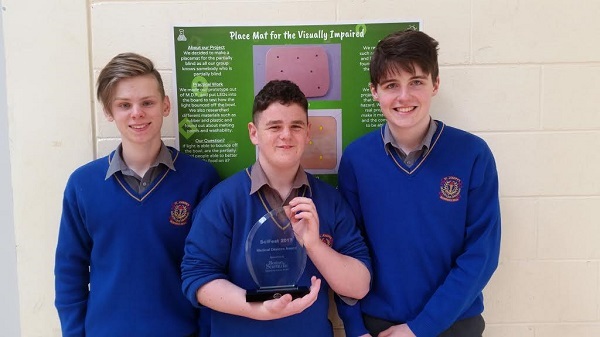 Paddy Carey, Sean Hogan and Luke O’Gorman, who won the Boston Scientific Medical Devices Award for their project – A Place-mat for the Partially Blind will also now compete for a chance to present their project in the National Finals along with Joseph O’Donoghue who also won the Sustainable Energy Authority of Ireland award. 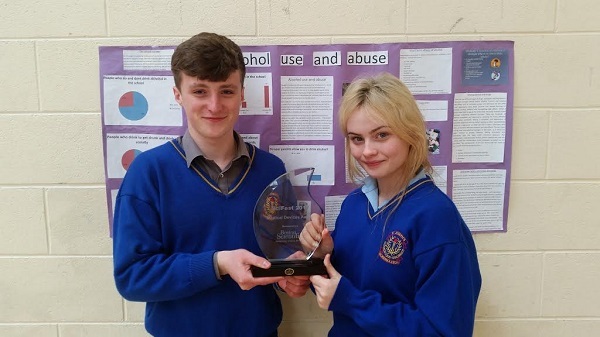 Congratulations also goes to Ciara Kennedy, James Ryan and Laura Slattery who were awarded the Department of Applied Social Sciences award from LIT for their project – The use and effects of alcohol abuse. 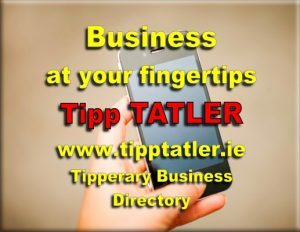 In the junior technology category Joseph Bourke, David Madden and Jack O’Brien took away a prize. Simon Humphries won the Irish Science Teachers Association award for his project – The carcinogens in 3G astro turf pitches. Congratulations to all the students from St. Joseph’s College, Borrisoleigh who presented projects so well and put in so much work. Well done all!